Neil Ferris studied at Royal Holloway, University of London, and at the Royal College of Music. He is currently Music Director of Wimbledon Choral Society, one of London’s leading amateur choirs, and is Guest Conductor of Manchester Chamber Choir, Principal Guest Conductor of Birmingham Bach Choir. In demand as chorus master to some of the leading symphonic choruses in the UK, Neil is Associate Chorus Director of the London Symphony Chorus, Chorus Director at the Royal College of Music and Chorus Master at the Endellion Summer Festival. He has also worked with the BBC Symphony Chorus, BBC National Chorus of Wales and the chorus of Cambridge University Music Society. In these roles he has prepared choirs for internationally acclaimed conductors including Valery Gergiev, Bernard Haitink, Carlo Rizzi, Marin Alsop, Donald Runnicles, Francois-Xavier Roth, Thierry Fischer, Jac van Steen, Martyn Brabbins and Ryan Wigglesworth. Formerly Head of Choral Conducting at the Royal Welsh College of Music and Drama, Neil helped establish the international reputation of the choral conducting course and developed the conservatoire’s choral ensembles. This summer he prepared the chamber choir to join the BBC Proms Youth Choir with the Vienna Philharmonic Orchestra under Sir Simon Rattle and conducted them on stage at the Wales Millennium Centre in a collaboration with international ballet dancer Carlos Acosta. In demand as a teacher and mentor to many young aspiring choral conductors in this country and abroad, he has led masterclasses in the USA, Ireland and Denmark and for the Association of British Choral Directors and National Youth Choir of Great Britain. Equally at home working with orchestras, Neil has conducted the London Symphony Orchestra, Welsh National Opera, New Queens Hall Orchestra, Haydn Chamber Orchestra, Salomon Orchestra, Orchestra Vitae and the period instrument ensembles Florilegium and Apollo Baroque. He made his Royal Opera House debut with Will Tuckett’s ballet The Wind in the Willows. 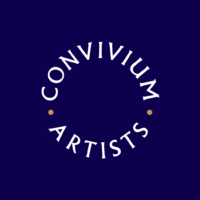 Recordings include an album of the choral music of Jonathan Dove with Convivium Singers released on the Naxos label and Fauré’s Requiem on the Convivium Records label. He has also prepared the chorus for the LSO Live recordings of Berlioz Roméo et Juliette, Brahms Requiem and Szymanowski Stabat Mater.